Revelation Two – Monitor WG Construction Released! 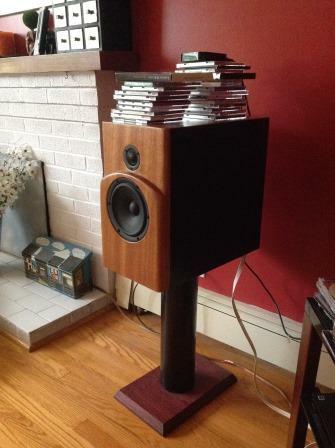 It has been a while since the last published loudspeaker design. The reason for that isn’t the lack of designs; it’s the lack of time to publish them! 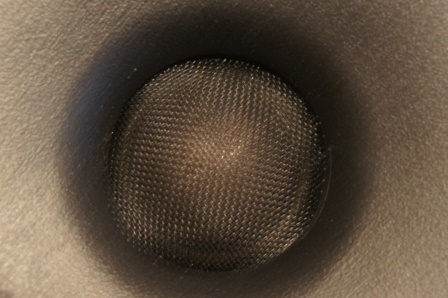 The new Revelation Two – Monitor WG loudspeaker uses one of my absolute favorite mid-woofers, the ScanSpeak 15W/4531G00. With its smooth frequency response it’s very easy to work with and it sounds wonderful in shallow sloped cross-over designs. This time I use a WG148R waveguide from Visaton in combination with the Dayton Audio RS28F-4 tweeter and the ScanSpeak 15W/4531G00 mid-woofer. 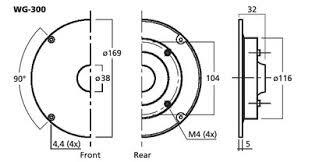 By using a waveguide it isn’t necessary to use a stepped or sloped baffle to time align the drivers in order to compensate for the drivers “relative acoustic center off-set”. This is important when using a shallow sloped cross-over topology like the second-order Linkwitz-Riley type of cross-over used in this loudspeaker design. 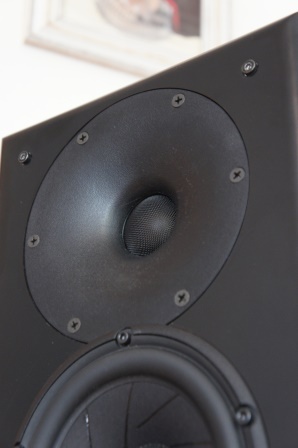 The waveguide also have the benefit of improving the dispersion and to give a smoother power response compared to a conventional mid-woofer + dome tweeter setup. There are three versions of the cross-over, the Simplistic, the Perfectionist and something in between, the Intermediate. Each of them is a valid option and can be chosen according to personal taste and e.g. room placement. In my opinion each extra step to the Perfectionist cross-over adds additional sonic qualities, but for the cross-over purists the Simplistic version is nice. Read full article |Comments Off on Revelation Two – Monitor WG Construction Released! Monacor DT-300 + WG-300 Measurements! 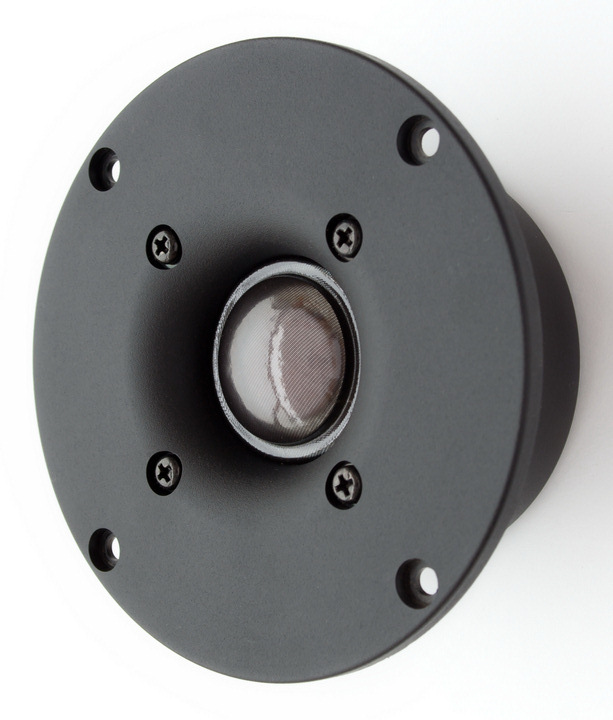 I’ve measured and tested the inexpensively priced Monacor DT-300 soft dome tweeter and WG-300 waveguide. It has a plastic tweeter face plate, but feels robust and nicely built. The tweeter has a high performance/cost ratio. Read full article |Comments Off on Monacor DT-300 + WG-300 Measurements! 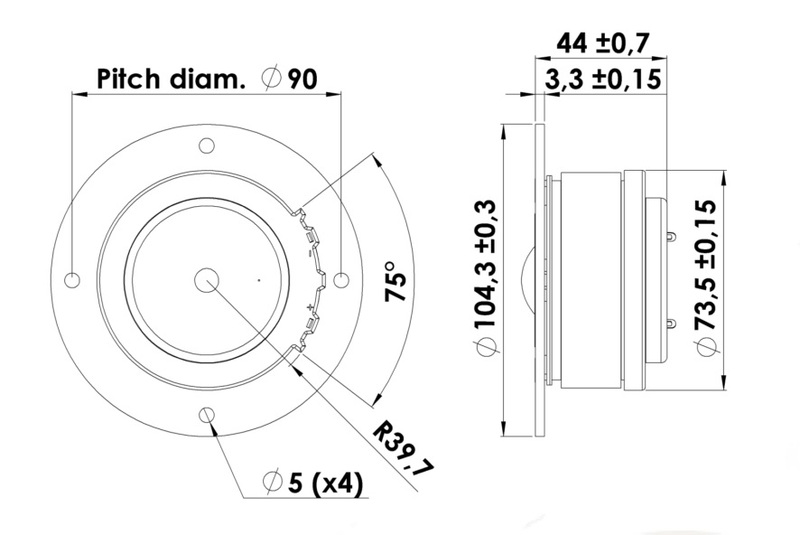 I’ve measured and tested the very nice “Classic” ScanSpeak D2905/950000 soft dome tweeter. It has a very robust and nice build quality. The price tag is rather high, but this tweeter is well worth the money. 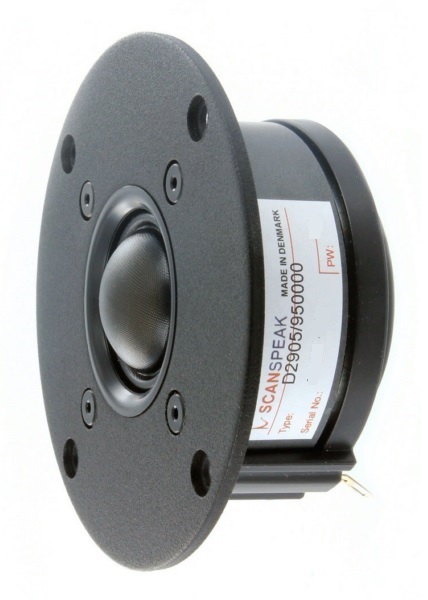 Read full article |Comments Off on ScanSpeak D2905/950000 Measurements! I think i have found the problem and you are right, it is the Sansui which is 39 years old. The speakers are performing superbly on my modern yamaha AV amp but the sibilance issue arises only on the left channel of the Sansui, regardless of which speakers are connected. I will have to replace all of the electrolytic capacitors in the old amp and see if that cures the problem, then work on transistors. Your design sounds fantastic and even my wife likes the look of them here in our living room. I am attaching a pic but they are not quite finished as i have to make proper stands for them. When i complete that i will send better pics. Thanks so much for your design work and help.